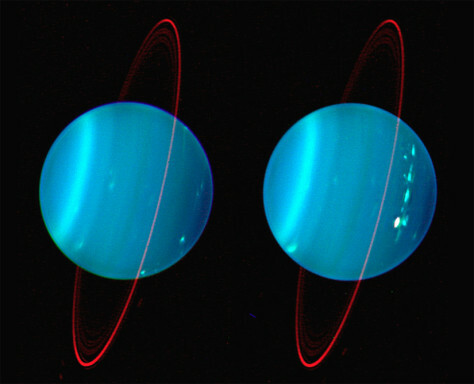 As this 2004 infrared Keck telescope image shows, Uranus is tilted, plus it has structure in its atmosphere. It even has a ring system. Not so boring now, is it?